Update (November 16th): It turns out there’s a serious bug affecting DAGs after installing RU5. Recommendation is not to deploy RU5 while Microsoft investigates the issue. Meanwhile, the RU was also pulled. Note that this is the exact reason why I emphasize on not rushing updates in production and run them in test and acceptance environments first. When testing is not an option (but there are lots of options there with free virtualization technologies available), I recommend maintaining an incubation period of at least 1 month and monitoring sites like TechNet forum or related comments on the EHLO blog for issues. 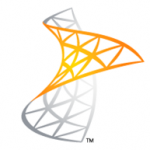 Today the Exchange Team released Rollup 5 for Exchange Server 2010 Service Pack 2 (KB2719800). This update raises Exchange 2010 version number to 14.2.328.5. As of Rollup 4, its no longer required to disable/re-enable ForeFront Protection for Exchange using the fscutility to be able to install the Rollup properly. However, if you want to remain in control, you can disable ForeFront before installing the Rollup using fscutility /disable and re-enable it afterwards using fscutility /enable. You can download Exchange 2010 SP2 Rollup 5 here.